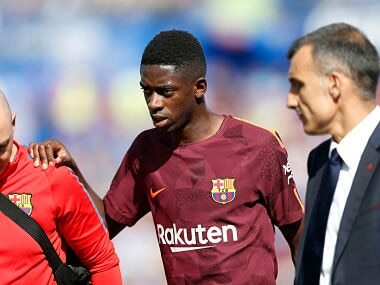 Barcelona: Barcelona's record 105 million-euro ($125 million) signing Ousmane Dembele is set to be sidelined for up to four months as the club confirmed the extent of the hamstring injury he suffered at Getafe on Saturday. "The tests performed on first team player Ousmane Dembele have determined he has ruptured the tendon of the hamstring in his left leg," Barcelona said in a statement on Sunday. "The player will undergo surgical treatment by Dr Sakari Orava this coming week in Finland. The expected time out will be between three-and-a-half and four months." 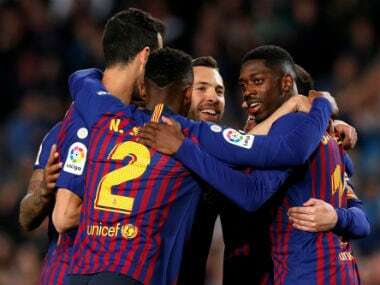 Dembele has made just three appearances for Barca since sealing his move from Borussia Dortmund last month for a fee that could rise to as much as 145 million euros based on performance-related bonuses. 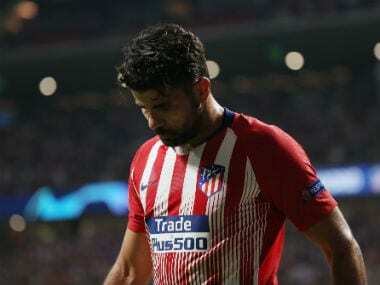 He provided an assist on his debut as a substitute to round off a 5-0 thrashing of Espanyol last weekend and impressed as Barca swept aside Juventus 3-0 in the Champions League on Tuesday before pulling up just 29 minutes into Saturday's 2-1 win at Getafe. 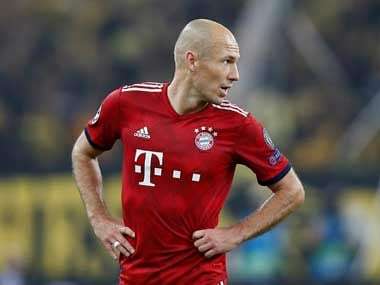 However, he may have paid the price for missing much of pre-season as he went on strike from training at Dortmund to try and force through his dream move to the Camp Nou. The 20-year-old is now set to miss the rest of Barca's Champions League group campaign and faces a race against time to take part in the first Clasico of the season against Real Madrid on 23 December. At international level, Dembele will also be absent for France's final two World Cup qualifiers away to Bulgaria and at home to Belarus next month.